This morning the light on the ridge was glorious! A harbinger of a beautiful day. Then it began to drizzle. When the light faded it went quickly. 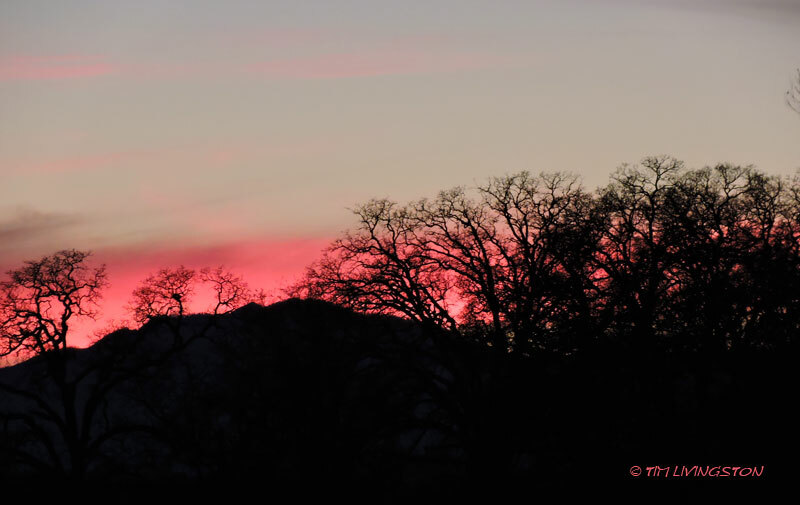 Last week was a beautiful evening that made the entire sky glow. I took pictures in all directions. A crack in the sky let the sun light up the ridge. The blue oaks looked like they had fall color, but they are leafless. The other evening the entire sky glowed. To the south over our home. To the north over the hills. Bad weather prevented us from viewing the lunar eclipse last week. 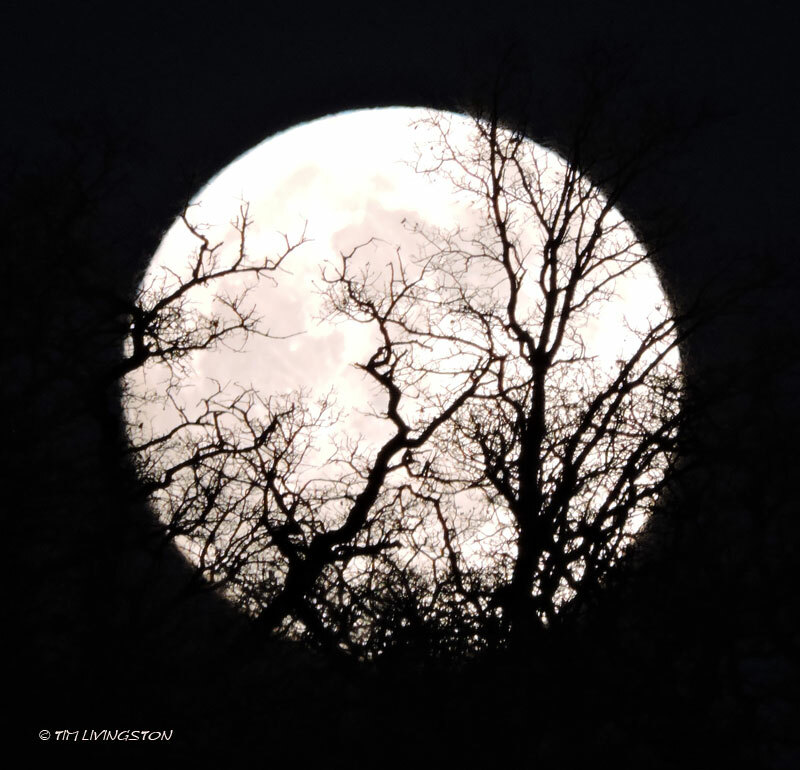 However, in the morning I was treated to a spectacular moonset. I’m waiting for one of those cows to jump! Looking toward Mt Shasta over the pole yard. Moonrise was beautiful tonight. I took a picture of it. Then I turned around and took a picture of the sunset. This fire season in California has been epic in the worst possible way. Not only did we have the state’s largest recorded wildfire, the Ranch Fire, but we’ve had the most destructive fire, the Camp Fire. 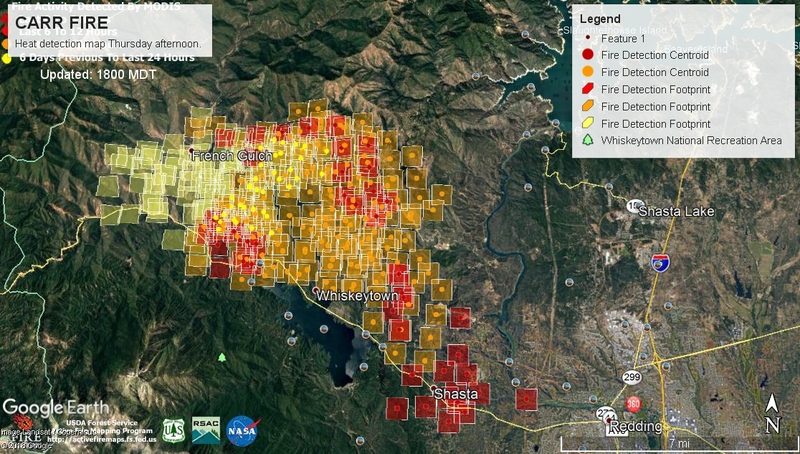 During any prior year the Carr fire would have been the most destructive fire in California, but this year has been exceptionally bad for wildfires. 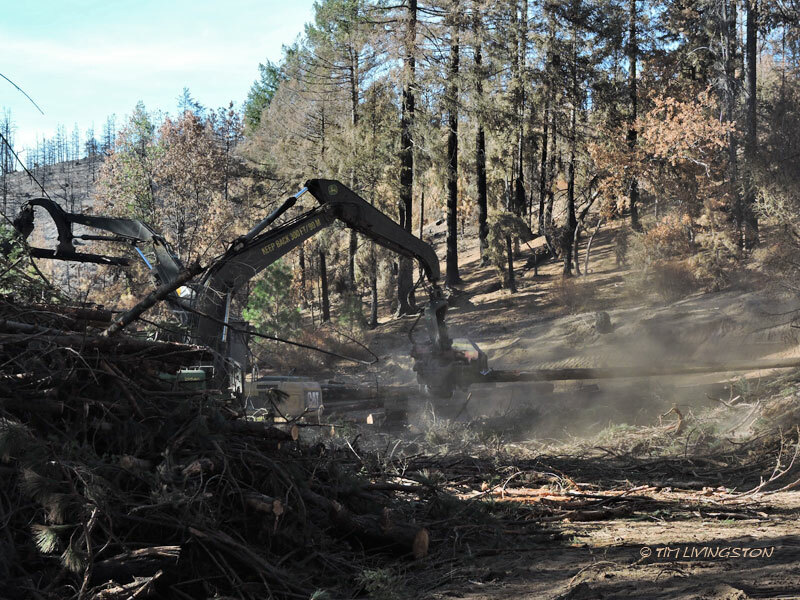 I was out checking in on one of our salvage logging contractors on the Carr Fire last week. The timber salvage operations are well under way. Click on the gallery of images to read about it. This view is from the Highland Ridge Road looking down at the Community of French Gulch. Over the course of a couple weeks the fire made a run at the town three separate times. Many homes were destroyed. 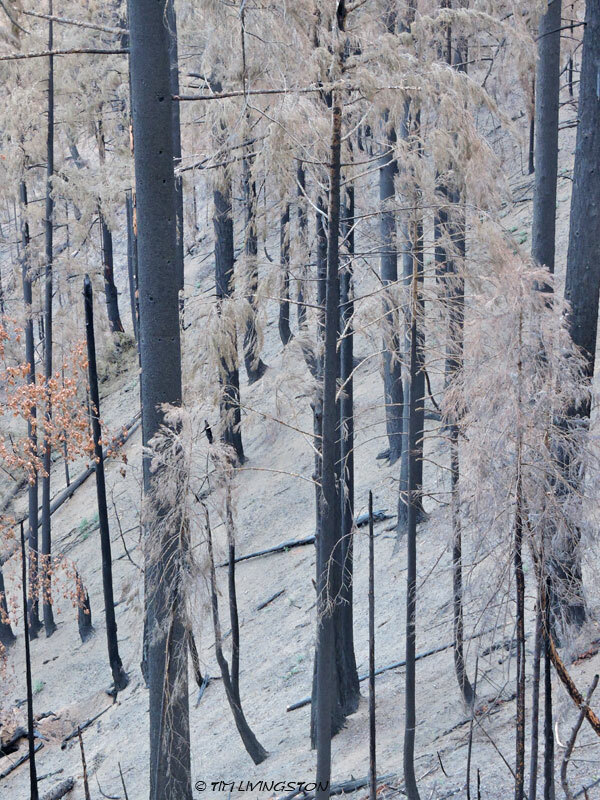 The Carr Fire left hundreds of millions of board feet of dead timber in it’s wake. It’s like a ghost forest. 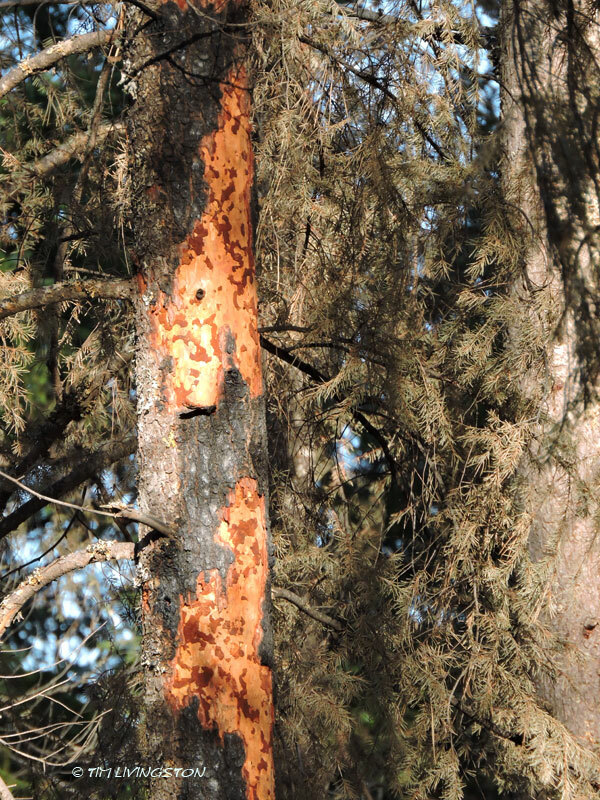 Bark beetles immediately invaded the fire killed trees. In the spring they will spread the many of the surviving trees. This is one of many of our salvage loggers. It is imperative to get the wood to the mills as fast as we can. It begins to deteriorate as soon as it’s dead. The tractor is skidding trees to the processor,. 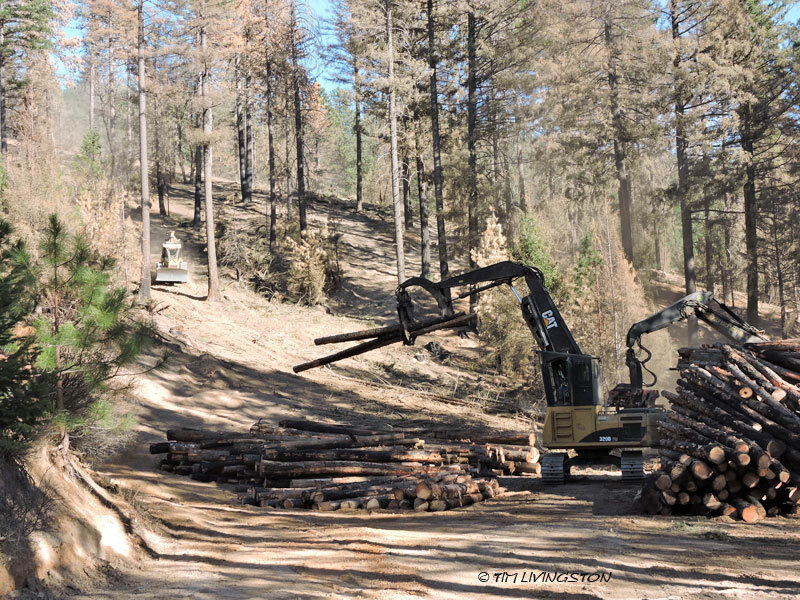 The processor cuts the trees into logs, while the loader sorts the logs into decks. 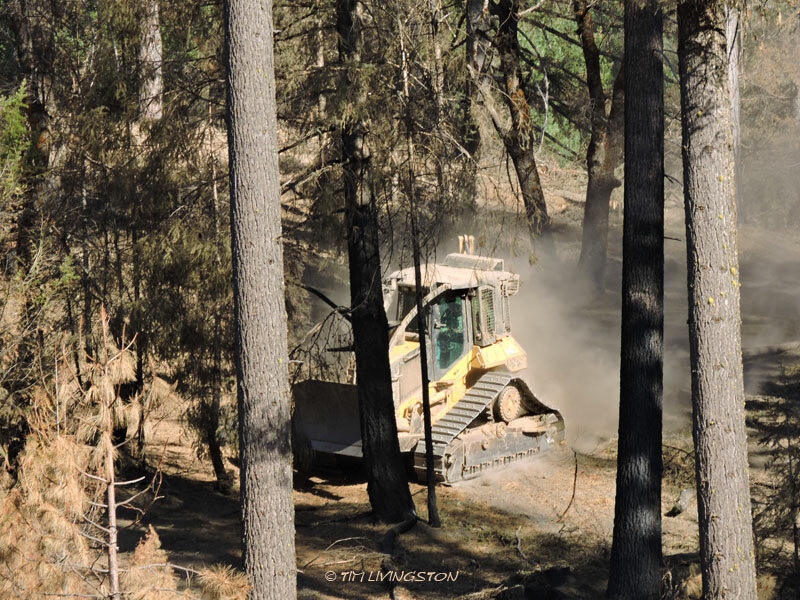 Here the processor manufactures trees into logs. A couple of big logs waiting to be skidded into the landing. 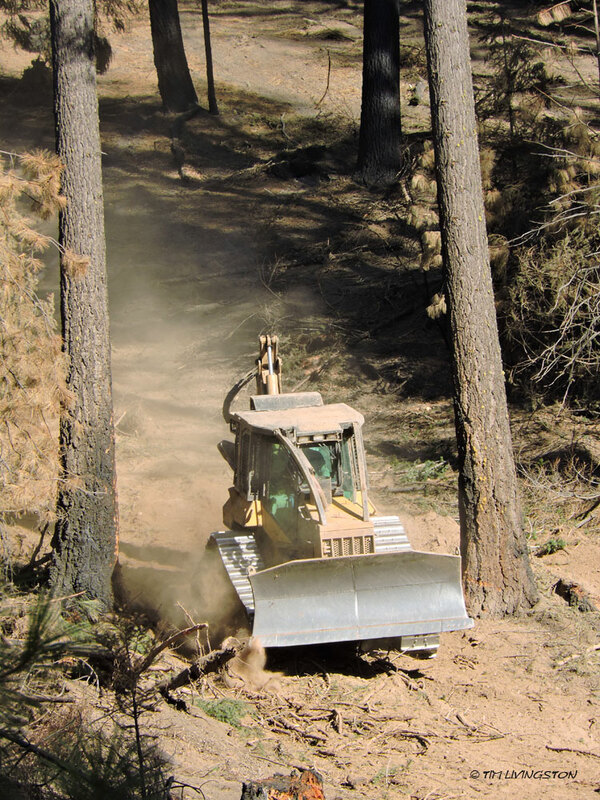 On steeper ground we use track laying skid cats to move the trees to the landing. The land around Redding that burned is very steep. 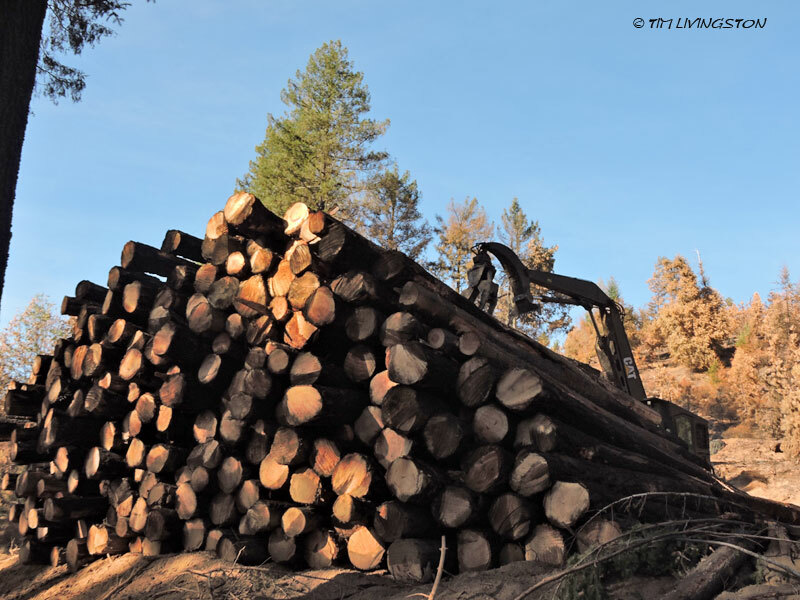 The logs get sorted by size and species while waiting to be delivered to the mill. 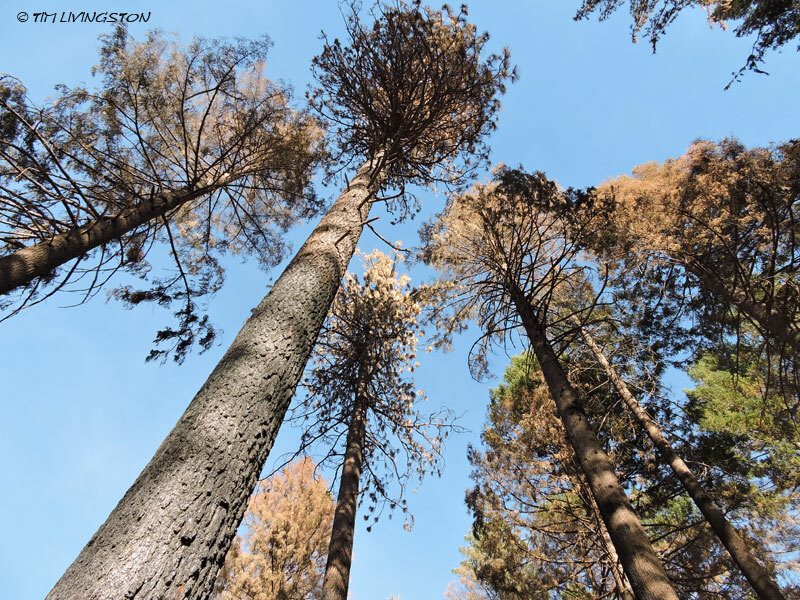 The trees don’t always burn completely during the fire, but the heat alone is enough to kill them. 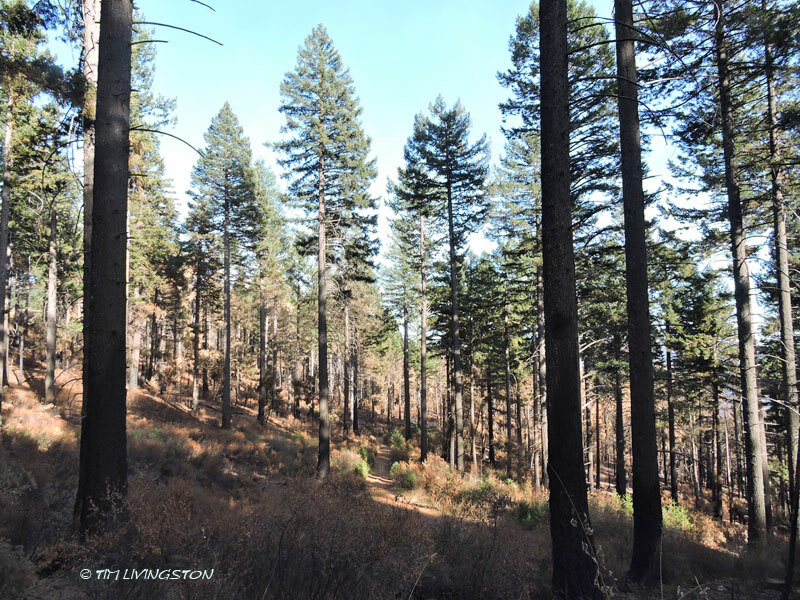 This part of the forest had been thinned before the fire. 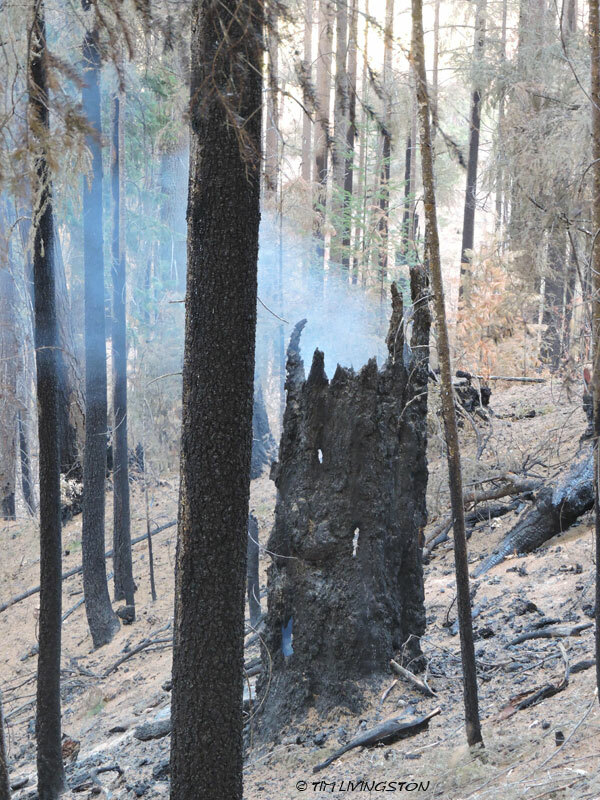 By spacing out the remaining trees the fire burned at a lower intensity. 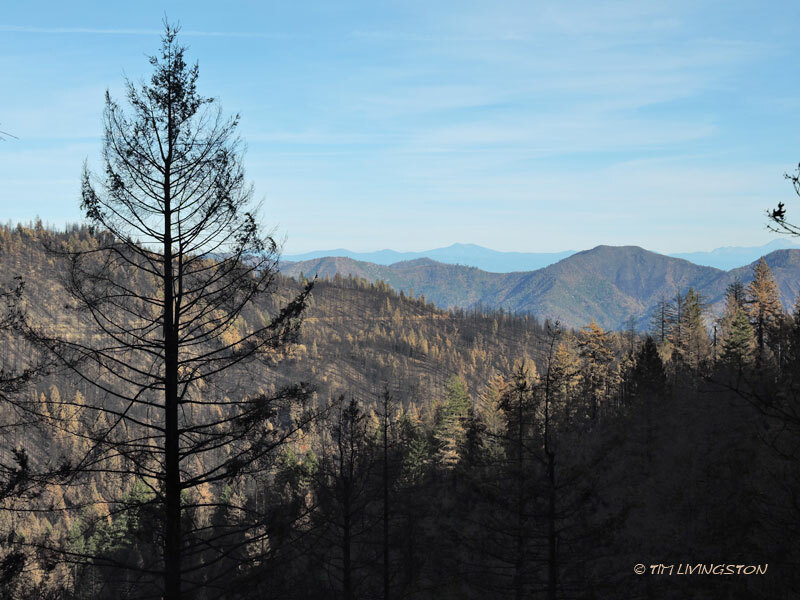 The fire wasn’t as hot, the flames were smaller, and the remaining trees were resilient enough to survive the fire. 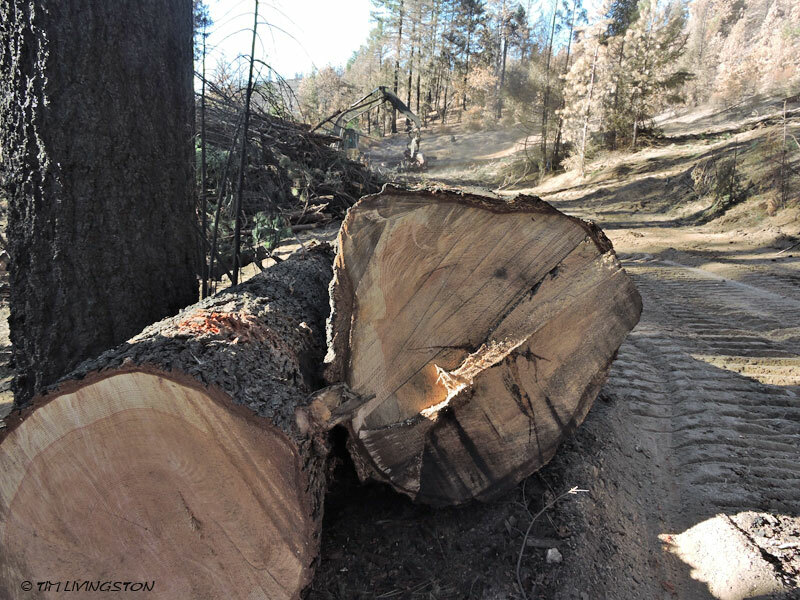 Thinning these trees in a logging operation saved them. 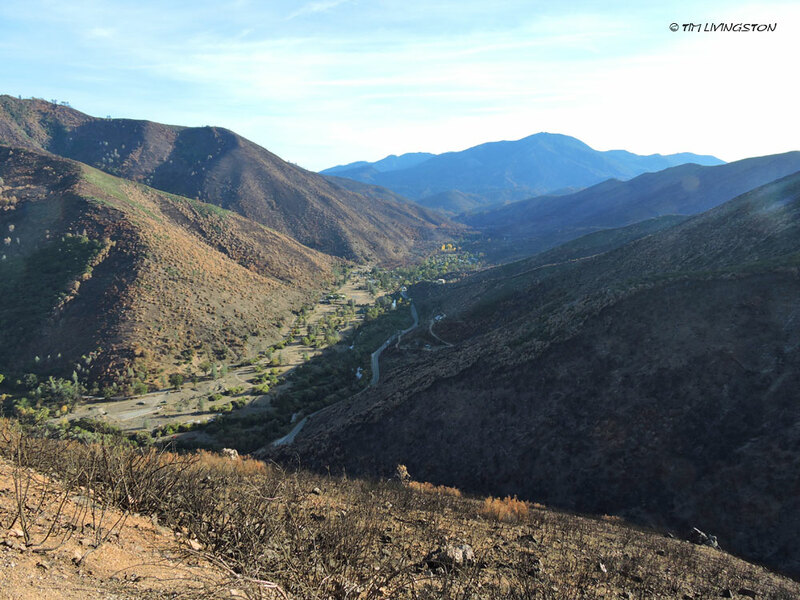 Even now, weeks after the fire was contained there are still hot spots out in the burn. We may still find some hot spots in the spring. Since I wrote this post the rains began in earnest. Our fire season has come to brutal end. 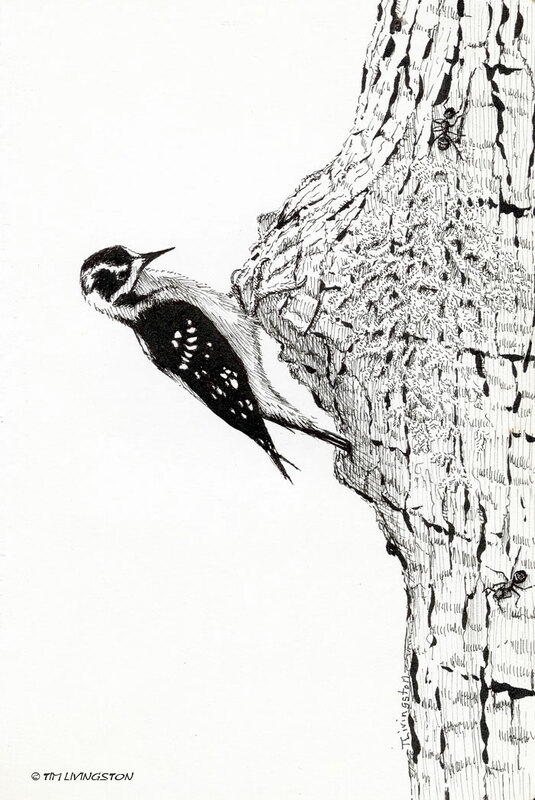 I drew this pen and ink while Mary and I were sitting in a ground hunting blind two deer seasons ago. 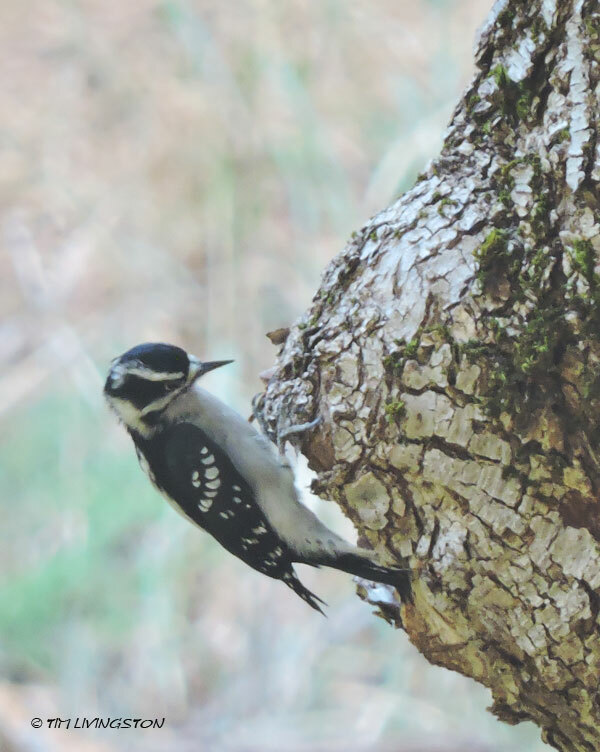 It’s of a female downy woodpecker that I photographed earlier that season. I took it when we were in another blind. If you consider that I completed the drawing while waiting for deer you can probably deduce that no deer were harmed during the drawing of that picture. We always do most of our shooting with a camera. Just look at this late summer flower. I took this picture near our home and happen to find it beautiful. What I would like to know is who came up with this name, yellow tarweed. That’s a terrible name and it just doesn’t do this flower justice. My favorite flower name of all time is indian paintbrush. That’s a name. It cries out ART! 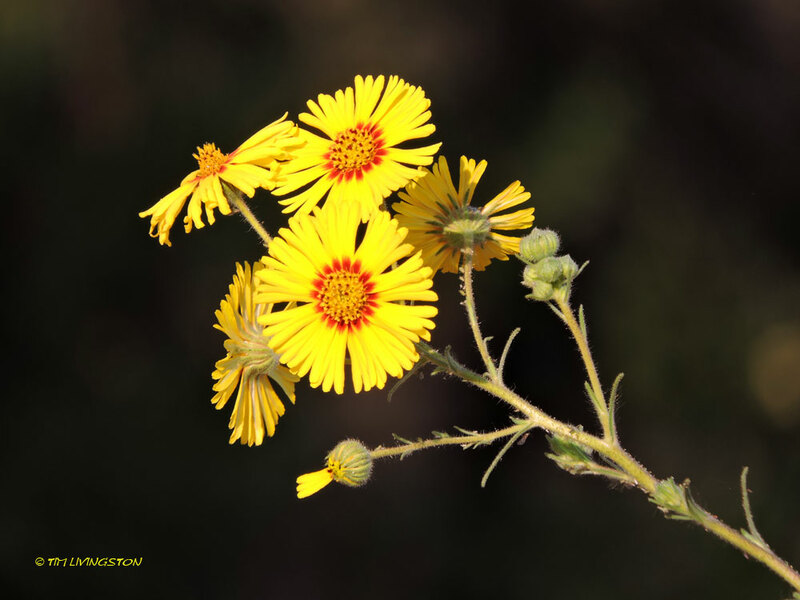 Tarweed cries out stick pest plant. Yuck! It needs another name. How about starburst or golden glory! What do you folks think? Give me some names. I’ve taken so many picture of the sunsets during the Carr Fire. Here is another set. I took these about ten days ago. We are still getting the surreal sunsets. The fire is contained and the burnout operations are done. Other fires are burning in the area. We won’t be without the smoke anytime soon. This morning the sky had an apocalyptic pall over it. Colors were shifted from the smoke filtered light. Ash had fallen on our property. Now our home isn’t close to the fire. We aren’t in any danger. Most of our friends are much closer. Many have had to evacuate. With Google Earth I was able to determine that we were 22 miles from the fire as the crow flies. That’s how far the ash had traveled. This is the sky we woke up to this morning. 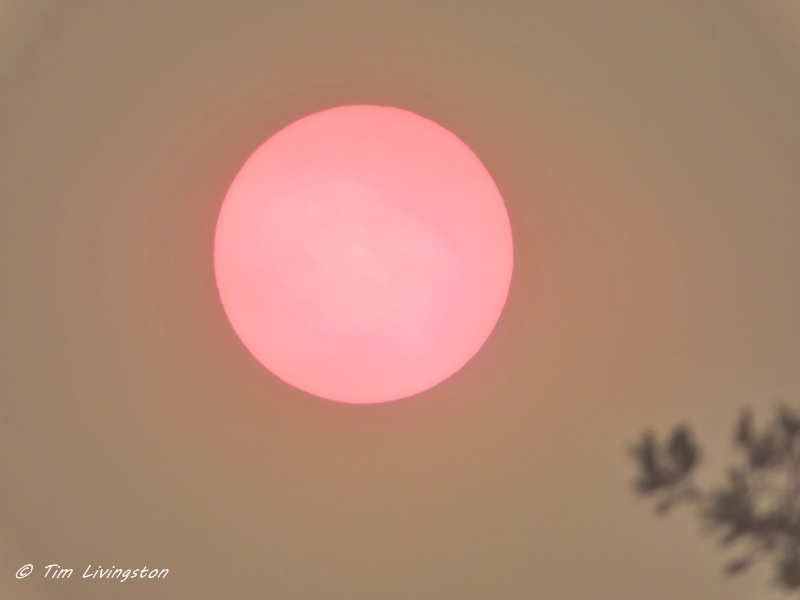 The sun was a big red ball through the smoke. This was the view from Anderson on Monday afternoon soon after it started. This is the same view today. When it broke out it was big enough to create it’s own weather. 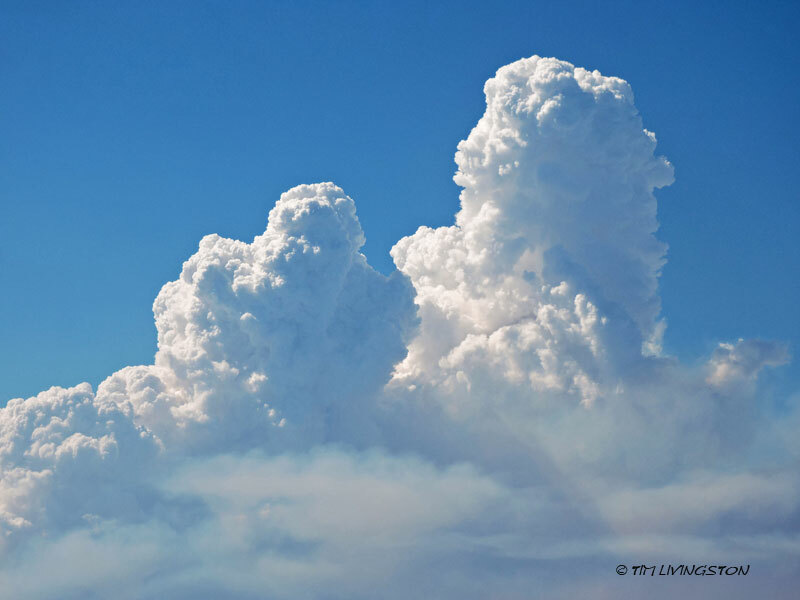 Huge cumulus clouds formed over the smoke column. 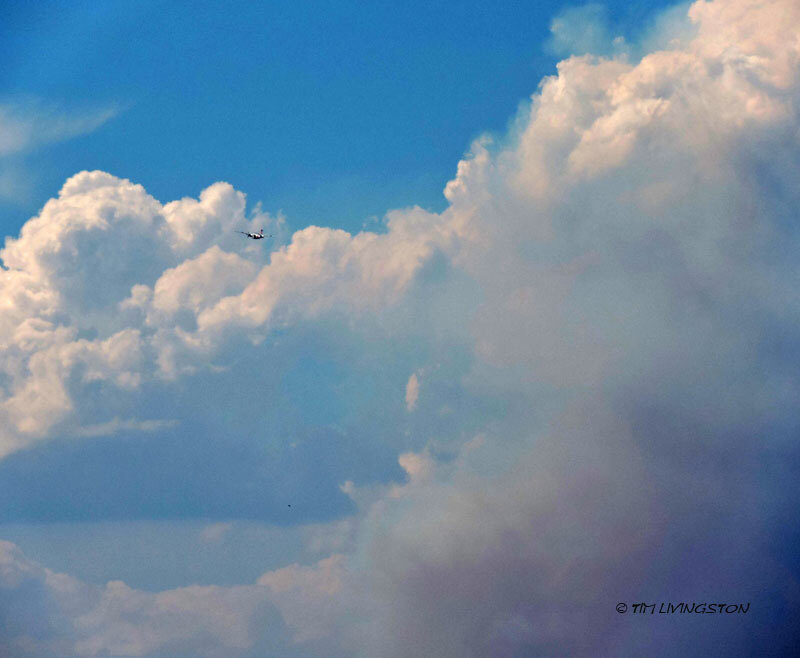 A lone airtanker heads toward the fire on Monday. 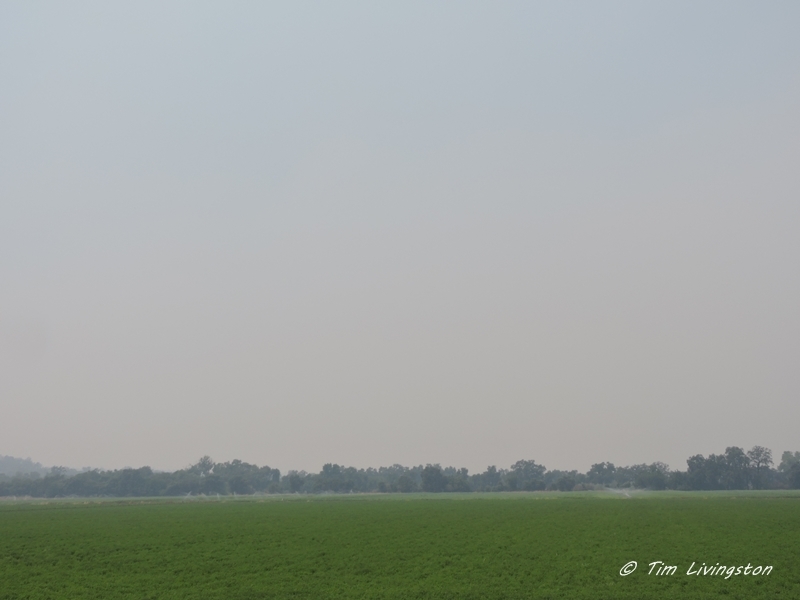 The planes have been grounded for the last two days for lack of visibility. 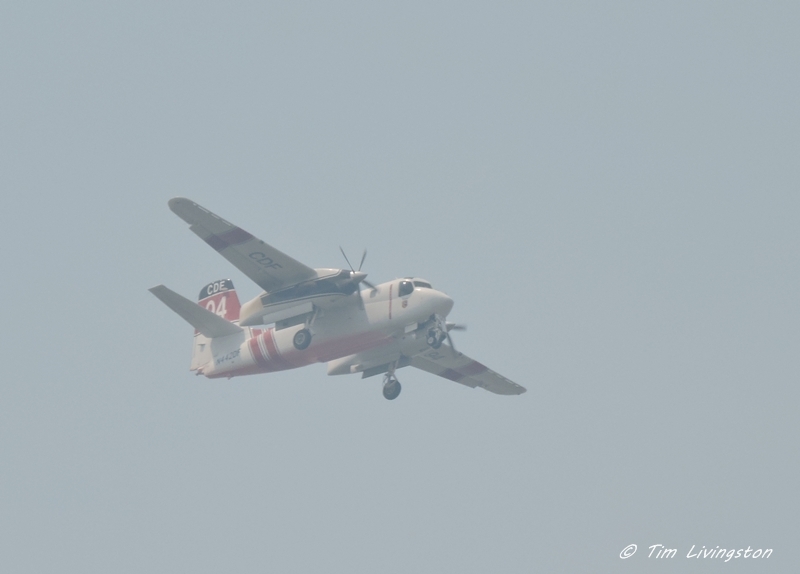 Conditions on the fire improved enough for the airtankers to get back into the fight this afternoon. Updated hot spot map Thursday afternoon. 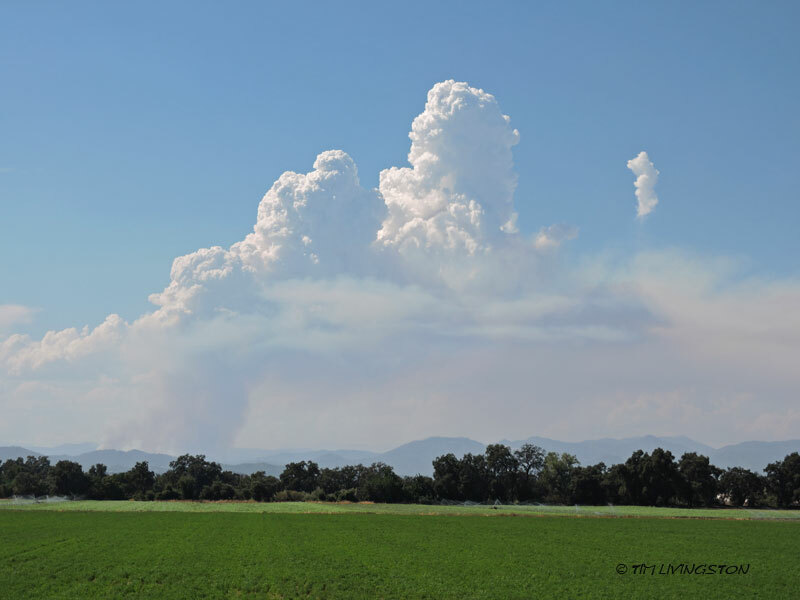 Based on latest hot spot map the fire may have spread south of Highway 299 near Redding. This is a terrible development. Hopefully the firefighters can stop the spread. Fortunately, it didn’t reach the forecast high of 113 today. It just made it to 111. Nevernind, I just found out it did reach 113.